The greatest of Fried Dough and Doughnuts to eat. Wanting to move along for new customers to greet. To my heart and soul forever cast. Finding myself at City Hall and my old boss Freddy Kyrouz there. It will come to me easy by believing in the Master’s Plan. Peter Todd is Poet Laureate of the City of Gloucester. and working waterfront, Gloucester landmarks, and individuals who have made Gloucester great. Love this! So evocative of home and growing up there. 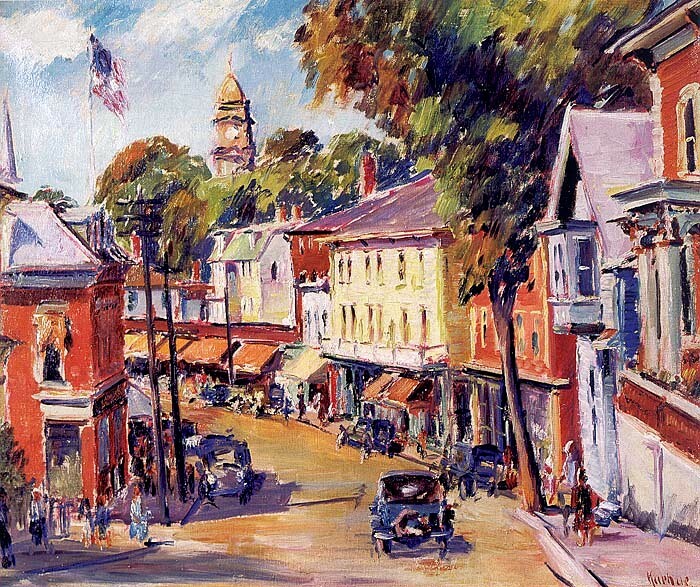 And the painting chosen to accompany the poem is perfect and Main Street back home as I will always remember it. Thank you so much for sharing with the homesick Glosta girl!